NIRT Recruitment 2018 2019 Application Form for 02 Project Technician Posts Download Application through Official website www.nirt.res.in. NIRT Project Technician Jobs Notification 2018 Released. 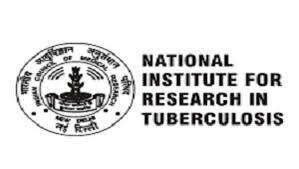 NIRT invites Walk in Interview for appointment in following Project Technician post in National Institute for Research In Tuberculosis. Candidates are requested to Download Application through Official website www.nirt.res.in. Prospective candidates will have to before Walk in Interview carefully reading the advertisement regarding the process of examinations and interview, eligibility criteria, Offline registration processes, payment of prescribed application fee/intimation charges, NIRT pattern of examination, NIRT Syllabus, NIRT Question Paper, NIRT Walk in Date, NIRT Result Date etc. Interested candidates fulfilling the required qualifications may download the prescribed application form from the website www.nirt.res.in and directly report on the date mentioned above at National Institute for Research in Tuberculosis, 1 Mayor Sathyamoorthy Road, Chetpet, Chennai 600 031 between 9.00 AM & 10.00 AM to attend the walk-in-interview/written test. They may submit on spot the filled-in application form affixing a passport size colour photograph along with self attested copies of age proof, educational qualifications (from matriculation onwards), certificates of experience related to nature of job, caste certificate (for OBC candidate, certificate as per Govt of India format) and a fee of Rs.100/- (drawn in favour of Director, NIRT, Chennai) in the shape of demand draft from any Nationalized Bank. The original of the attached documents should also be carried with for the purpose of verification. SC/ST, physically disabled and women candidates are exempted from payment of fees subject to production of valid document.